The sale on eBay of the Letters Patent dated 21st July 1899 signed by the Lord Lyon, James Balfour Paul, granting Arms to Alexander Lawson of Annfield & Burnturk is due to close later today. (Vendor: rain_daisy_rain). The Grant extends not only to the Descendants of Alexander but those of his grandfather, John Lawson of Falkland. 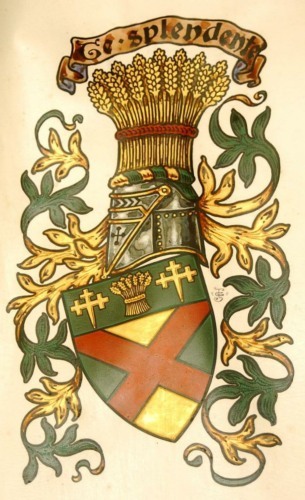 Arms : Parted per saltire Or and Vert a saltire Gules on a chief of the second a garb between two cross crosslets fitchy of the first. 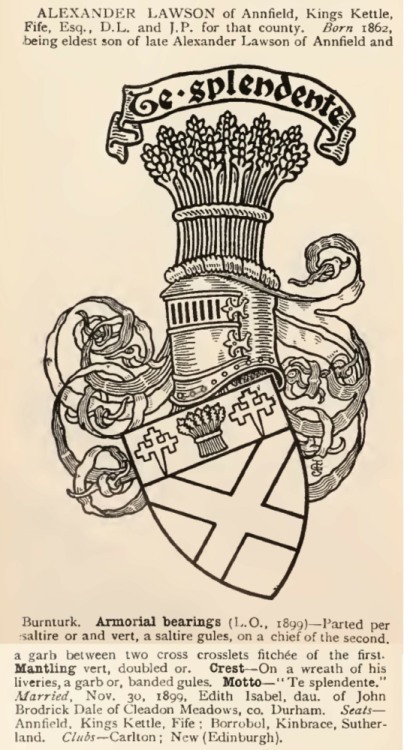 Crest: A garb Or banded Gules.